Today was supposed to be the official end of the session, but that probably won't be the case thanks to a Senate and an Assembly struggling to get some important non-MMA-related work done. The legislators could be burning the midnight oil Thursday and even Friday. We knew going in that the Senate would support it - they always have. The big question is what will the Assembly do, as the Assembly has traditionally been where the MMA bill dies. 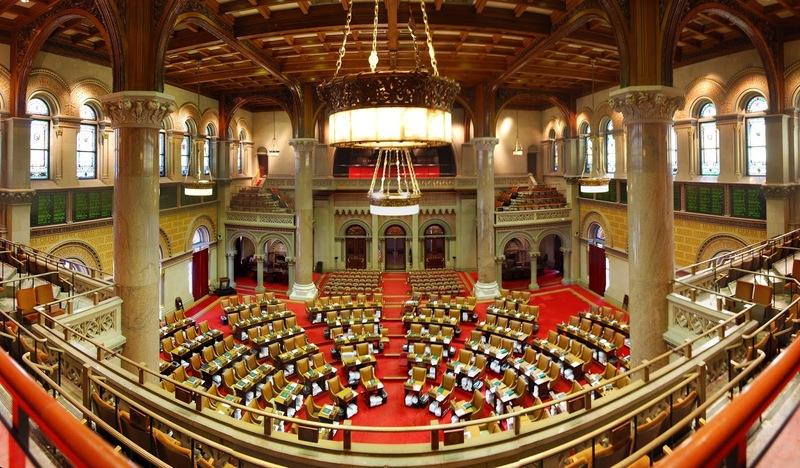 Since Speaker Carl Heastie upheld the 76-vote Democratic conference requirement that former Speaker Sheldon Silver put in place, the fight behind the scenes has been one of getting enough of those coveted "yes" votes. Do we have them? Well, let me just say we're in a good place. A VERY good place. 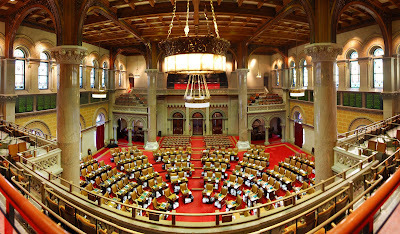 Getting past the 76-vote threshold was the only hurdle for the Assembly's bill to get to the floor for a vote, and it's expected that there is enough bipartisan (i.e., both Democratic and Republican) support that the bill will pass that final legislative stage. In terms of timing, a resolution on the MMA bill can come anytime Wednesday, Thursday or Friday, depending on how long the session is kept open. But a resolution will come. It's also worth noting that the Assembly has no problem pulling all-nighters, so you could conceivably go to bed tonight and wake up with an MMA bill that has passed. The bill has passed through the Senate, and when it passes through the Assembly, the last piece of the puzzle is for the governor to sign it. Then it becomes law. There are no concerns that the governor won't sign it. All of this talk of the bill and votes is somewhat abstract and about the process. In terms of the actual day-to-day reality of the situation, I can say this: industry insiders are already talking about the next phase, and what they'll be doing in this soon-to-be changed combative sports landscape. In other words, the people on the ground are considering it a done deal. Is the MMA bill a done deal? Of course not. But the view from behind-the-scenes is a positive one full of optimism. What can New Yorkers do to help? At this stage, reaching out to any Assembly member via phone or email and voicing your support is best. We've got the momentum, and keeping that momentum is all that matters.